RAPAPORT... In a rare case, the Gemological Institute of America (GIA) has discovered an irradiated chemical vapor deposition (CVD) diamond in a batch of natural melee a client had submitted for testing. The GIA’s Tokyo laboratory found the 0.007-carat, irradiated green-blue synthetic diamond in a parcel of 300 similarly colored irradiated stones, it said in a recent journal article. The other 299 diamonds were natural, but had too been exposed to an artificial source of radiation to improve their color. All 300 stones were round, with the parcel weighing a total of 1.97 carats. 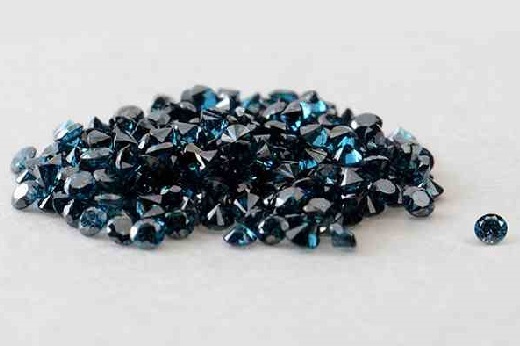 The GIA often identifies synthetic melee mixed in with natural diamonds, though most cases involve colorless stones. In the Winter 2014 issue of Gems & Gemology, researchers in New York revealed they had found 14 High Pressure-High Temperature (HPHT) synthetics and one HPHT-treated natural diamond in a parcel of 359 yellow melee diamonds.